Without the doubt, the cornerstone of all strength training equipment is the free weight bench (also known as the bench press). A weight bench can be used with barbells, dumbbells, power racks, smith machines or on their own, the weights bench is the core of any exercise program working out your triceps and chest at the same time. It is often the case that there will be more than one person in the family who will be using the weight bench and weight sets. Discussing each person's goals will help make sure that you purchase exercise equipment that will withstand the use of multiple family members and the weight sets or individual free weight discs you choose are light enough and heavy enough for all strength levels. 2.Go to a specialist fitness equipment store and test the fitness equipment. A specialist fitness equipment store should be able to offer a range of weight benches, and various weight discs including both standard weights and Olympic weights, for you to see and try. They will also be able to advise you on the pros and cons of free weight training. Before you go to the fitness equipment store make sure you have the dimensions of the area you want to place this exercise equipment including height, width and length-and take a tape measure with you. Also, keep in mind that the exercise equipment may take up more space when in use and make sure you take these measurements into account as well. Ergonomics basically means how the workout equipment fits your body. Make sure that the weight bench can accommodate all the workout exercises you need to do it. 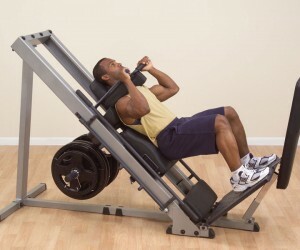 If the weight bench has an adjustable backrest and also has a barbell rest, then the barbell rest must also be adjustable, if not if you put the backrest into an inclined position there is every chance that you will not be able to get your head under the barbell when placed on the barbell rest. If the weight bench has a leg unit then make sure the pivot point is in the right place, if not the roller pad will just run up your leg and prevent you from performing a correct leg extension There are many different types of weight benches to choose from including bench press benches, dumbells benches and Olympic benches for use with Olympic weights and Olympic bars. Weight benches designed for the home usually allow for multiple exercises to be performed on them. Then there are those designed to do just one thing and sold generally as professional gym equipment and an example would be a decline bench press bench. Pads Look for well-padded, dense foam upholstery on the weight bench, that keeps its shape at all times. Check the stitching and the finish on the back of the pads. High-quality upholstery won't dry out, smell or crack with repeated use. Look for frames made from heavy gauge steel as this will make the weight bench feel solid for a lifetime. Most weight benches today use powder coated paint, which will prevent corrosion. Good powder coating should not crack when you tighten a bolt against it. Quality weight benches feature bearings at pivot joints, cheaper weight benches have nothing more than a bolt passing through a metal or plastic sleeve. Bearings reduce wear and tear and guarantee a smooth movement and longer life. If you have ever used professional gym equipment you will have noticed how solid it feels when in use. That is because the fitness equipment is welded together. Generally speaking, the more welds the more strength and stability. Home weight benches have to have bolted pieces because they have to be delivered in boxes. However, a rule of thumb, fewer bolts, less wobble. There are very few weight benches that use cables and pulleys but those that do (usually part of an attachment) should have nylon or steel bearing pulleys rather than plastic. Cables that are plastic coated give a smoother feel and should have at least a test strain of 1000kg. Some weight benches come with accessories and attachments, others allow you to buy attachments later such as a Lat Pulldown attachment or Arm Curl pad. Many Powermax weight benches come with a variety of extras. If your weight bench has an attachment or you decide to purchase an attachment check on its weight limits. Lat Pulldowns usually slide into the framework at the front of the weight bench. This is a stress point. Not too much of a problem on a quality weight bench but cheaper weight benches made from thinner steel may have a very limited weight capacity. Remember the must-haves when buying a Weight Training Bench. Make sure the weight bench will fit into your designated space (and the free weights you will need to use with it) and only look at weight benches that fit your space requirements comfortably even when in use. Good quality steel is the key to a good frame. Its heavier and therefore feels much more stable during use. This relates to ergonomics mentioned earlier. Do you feel comfortable using the weight bench? This will help overcome some of the fit problems. 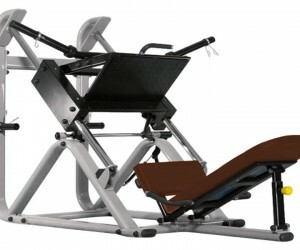 The seat, backrest, barbell rest, leg unit, all these can be adjusted on a quality weight bench. You should also be able to make these adjustments quickly and easily. Without the doubt, safety is the major factor when choosing weight training equipment and you cannot ignore the fact that there are safety issues that have to be confronted when using weight benches and free weights. If used incorrectly injury can occur. Here are some do and don't. Do always train with a partner or 'spotter' who can catch the weight and provide a safe pair of hands in an emergency. Do make sure that the free weight discs are securely collared onto the bar. Do always be careful if you are picking weights discs up from the floor to load the bar. This is one of the main movements that can result in a back injury. Do not leave weight discs scattered around the floor, they can become a trip hazard. Do not workout alone particularly if you are using a barbell. Do not exceed the weight bench or the bars recommended weight limit. The weight limit quoted on the weight bench usually includes the user. Look for spring-loaded, self-locking pins for adjusting such things as seat height, backrest, and leg units. These pins automatically find their locking position and then you turn a knob to tighten everything up. Even left loose they will prevent anything moving out of position so preventing nasty surprises. A good quality weight bench will require very little upkeep. The upholstery pads will just need to be wiped down occasionally to remove sweat. As long as the weight bench is assembled correctly and used properly there is very little that can go wrong. Weight training requires focus and proper form and if done properly can at times be a little uncomfortable. However the rewards far out way any mild discomfort. If you are new to weight training then you may need something or someone to help you stay on track and guide you through the exercises. Some weight benches come with a wall chart or booklet showing you the full range of exercises that can be performed and how each exercise should be executed. There are also many books on the subject but a friend who is experienced at free weight training or a personal trainer would be the perfect motivator. Never feel intimidated by what you don't know. A good fitness equipment store will have salespeople who will show you each exercise and explain its purpose. If a weight bench feels wrong, let the salesperson know.